The 200GB SanDisk Connect Wireless flash drive has been launched exclusively with Amazon India. The SanDisk Wireless Connect Stick will now be available in a 200GB capacity with faster transfer speeds. With the 200GB capacity, this will be SanDisk's highest capacity mobile flash drive. 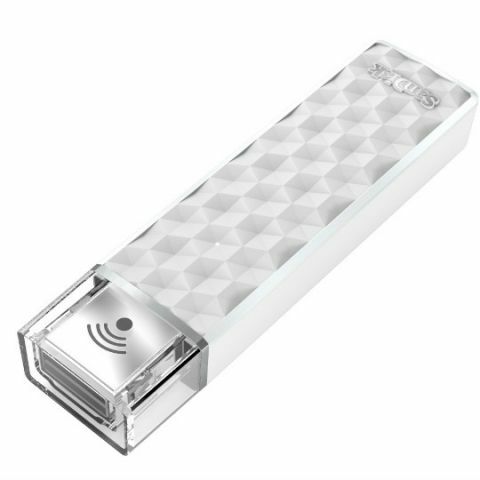 Following is the press release for the launch of SanDisk's 200GB Wireless Connect flash drive. SanDisk Corporation (NASDAQ: SNDK), a global leader in flash storage solutions, today expanded its mobile storage portfolio by upgrading its most popular mobile flash drive. The award-winning SanDisk Connect™ Wireless Stick is now available in 200GB* capacity, with faster transfer speeds, giving users even more options when it comes to expanding the capabilities of their mobile devices. The 200GB SanDisk Connect Wireless Stick will initially be exclusively available at Amazon.in and then extended to other channels in a phased manner. Now with up to 200GB of capacity, the SanDisk Connect Wireless Stick is SanDisk’s highest capacity mobile flash drive, capable of storing thousands of photos and videos you can access and share at your fingertips. Recognized by CEA at CES 2016 as an “Innovation Honoree” in the wireless handset accessories category, the SanDisk Connect Wireless Stick is a popular choice for people looking for a simple way to transfer, share and stream content among their devices and computers. The SanDisk Connect Wireless Stick features the SanDisk Connect app, which enables nearly effortless management of content between devices1 including iPhone, iPad, iPod, Android™ devices, Fire tablets, Mac and PCs – offered via password-protected Wi-Fi connectivity. The app has been updated recently to support sharing of content on large displays via AirPlay with Apple TV, and Google Chromecast and Amazon Fire TV, as well as 3D Touch on iPhone 6s and iPhone 6s Plus. With the updated SanDisk Connect app, Live Photos taken on iPhone 6s and iPhone 6s Plus can also be saved to the SanDisk Connect Wireless Stick. The SanDisk Connect app is available for download through the App Store, Google Play™ Store and Amazon Appstore for Android. The 200GB SanDisk Connect Wireless Stick mobile flash drive will initially be exclusively available at Amazon.in at Rs9990. install the mouse drivers to access the mouse ..